Surface water samples from thirty five sources in the Jia Bharali river basin in north Brahmaputra plain, North East India were analyzed for ten toxic trace elements namely As, Cd, Co, Cr, Cu, Fe, Mn, Ni, Pb and Zn. This first ever systematic analysis reveals seasonal variation of these elements with invariably higher concentration during dry season (February–March) in compared to the wet season (July–August) concentration for a period of 2008–2010. All the trace metals were estimated by using atomic absorption spectrometer (Varian AA 220). 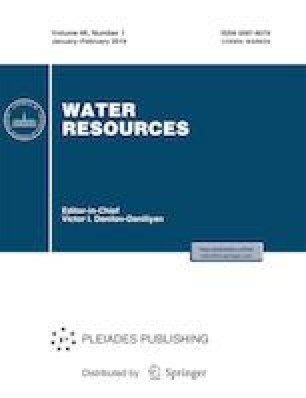 The whole study area shows As and Zn content below the WHO permissible limit  while surface water of some areas are found to be contaminated with Cr, Pb and Fe. Cr is higher in as much as 92% samples in dry season and 69% samples in wet season. Higher Fe concentration is found in 86% dry season samples and in 46% wet season samples. Pb concentration is above permissible limit for most of the study area during dry season (0.11 mg/L). Cd, Ni and Mn are also found to be of higher concentration in isolated areas. The quantity of trace metals in watersources should be checked time to time as their accumulation will cause numerous problems to living being. The present study was carried out under the Department of Science and Technology, Govt. of India sponsored project SR/S4/ES-21/BRAHMAPUTRAII/2005/(P-1).